You don't want to be the guy who tries to replace the MVP. You're pretty much destined to fail no matter how unfair it might be. And even if that's not what you were supposed to do. 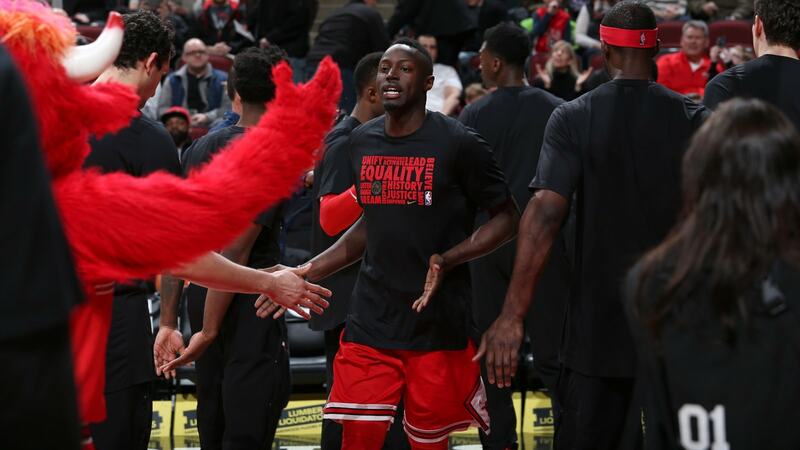 So the time came Saturday for Jerian Grant, whom the Bulls acquired in the Derrick Rose trade. The onetime Notre Dame star guard and first round draft pick was traded to the Orlando Magic in a three-team deal, essentially for more salary cap space and to clear the Bulls point guard logjam. The Bulls received journeyman guard Julyan Stone from Charlotte, where he played briefly last season. The 29-year-old has mostly played in the G-league and overseas. He likely will be released since his contract is not guaranteed. Grant was due to make $2.7 million in the final season of his contract. It still would leave the Bulls about $15 million below the salary cap even if they match the Sacramento Kings contract offer for Zach LaVine. In the three-team trade, the Charlotte Hornets reacquired Bismack Biyombo and got two second round draft picks. Timofey Mozgov went from Orlando to Charlotte. Charlotte likely was interested in the draft picks in a potential rebuilding. The Magic are short at point guard. Thus the interest in Grant, who averaged 7.2 points, 2.1 rebounds and 3.4 assists in two seasons with the Bulls. 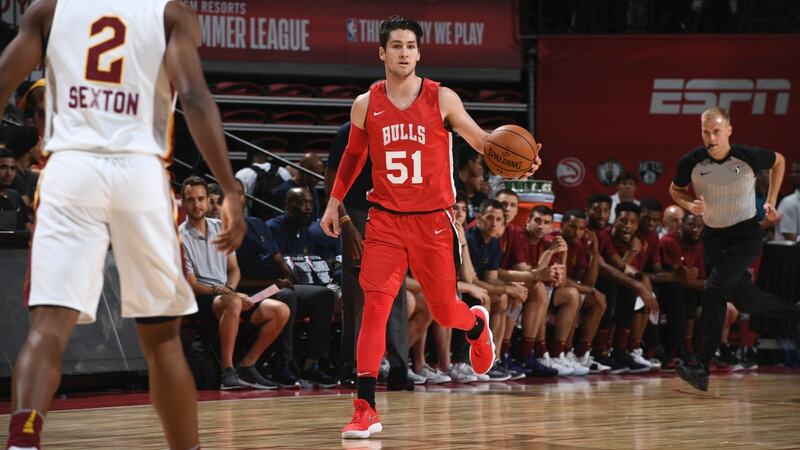 The Bulls now likely will be set at point guard for the season with Kris Dunn starting, Cameron Payne as the backup and perhaps Ryan Arcidiacono, who played Saturday in the Bulls Summer League opener 86-81 win over Cleveland. Arcidiacono had 10 points with a pair of threes and appeared to frustrate Cavaliers rookie Collin Sexton with annoying defense and some clever crossover moves on offense. Arcidiacono was effective running the Bulls offense down the stretch as they lost a big lead and then came back from an early fourth quarter deficit. Grant's failure to execute that kind of offense and run a team as a point guard hindered him with the Bulls. He also proved vulnerable to pressure and was more a shooting threat. Grant struggled to be the sort of push, fast break point guard that Bulls coach Fred Hoiberg favored. Grant is the nephew of Bulls legend Horace Grant. Horace Grant left the Bulls in 1995 as a free agent to play for the Magic. Horace now is a special administrative assistant for the Bulls. Jerian attended Notre Dame, sat out a year for academic reasons, but then returned to lead a strong tournament run to the Elite Eight and within a basket of the Final Four. He was drafted No. 19 overall by the Knicks after several draft day maneuvers. The Bulls were strongly interested in Grant in that draft. The Bulls had the No. 22 selection and took Bobby Portis with Grant taken. The 6-4 Grant played one season for the Knicks before being included in the Rose trade along with Robin Lopez and Jose Calderon. The Knicks also received Justin Holiday, who later returned to the Bulls as a free agent. Grant had an excellent Summer League start with the Bulls, who won that championship with Grant scoring 24 points in the title win over Minnesota. But Grant got swallowed up in the Bulls recruitment of Rajon Rondo and Dwyane Wade to join Jimmy Butler and was in and out of the lineup all season. Grant also spent some time playing for Windy City in the G-league. Grant beat out Dunn in training camp to start last season and had some strong games, including a career high 24 points in a loss to Miami. But the Bulls started 3-20. So Dunn, the lottery pick point guard from the Butler trade eventually—and inevitably—replaced Grant, who later fell behind the recovering Payne. It was Payne's passing and movement that appealed to the coaching staff and management. There didn't seem like there would be playing time for Grant, who is 25.